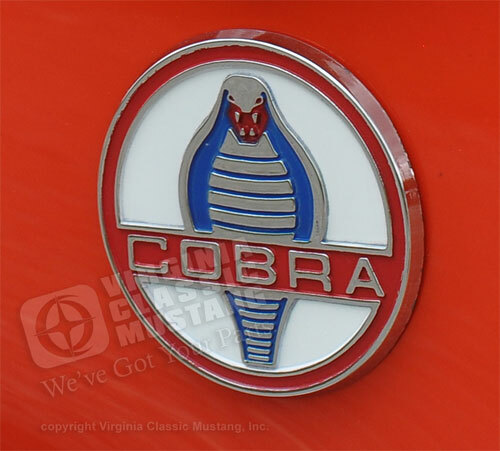 This die cast round Cobra Emblem is made by one of the original manufacturers in the USA. Two of these emblems were originally packaged with many of the induction kits, like the 3 x 2 tri-power carb. kit, offered by Ford.